ENGLEWOOD CLIFFS, N.J., April 26, 2016 -- In a never-before-seen video released today by LG Electronics, acclaimed Hollywood director Francis Ford Coppola hails LG OLED TV as the next frontier in cinematic home entertainment. Creating perfect blacks for incredible lifelike color, which has been touted by industry pundits as the "best picture quality ever," LG OLED TV is paving the way for filmmakers to break boundaries and create content in ways never before imaginable. Coppola's praise for OLED TV is the latest in similar endorsements from fellow Academy Award® winning directors, who also have hailed LG OLED TV's superior picture quality as a triumph in TV technology today. "When I first watched Apocalypse Now on LG OLED, I was filled with emotion. Not only because it was so lifelike that I felt like I was back in the director's chair nearly 40 years ago, but because I was finally able to see the film how I always intended it to look," remarked Coppola. "Every scene was so vivid and stunning. Every detail was so perfectly clear and immersive. Many of these details which were originally lost when translated onto screen, were now brought back to all their glory." LG OLED TVs, which launched for the first time in 2014, have ushered in a brand-new category of television in the U.S. that both experts and consumers alike consider the best picture quality on the market today. Using an emissive substance, each pixel of an OLED display can turn on or completely off, creating perfect blacks and amazing contrast for images that are crisper and more lifelike. With OLED technology, consumers can enjoy awe-inspiring picture with perfect blacks and incredible color, even from wide viewing angles unlike any LCD/LED TV can deliver. Blacks rendered by LG's OLED TV are up to 200 times deeper than those of an LCD panel, creating an infinite contrast ratio and bringing colors to life like never before possible. 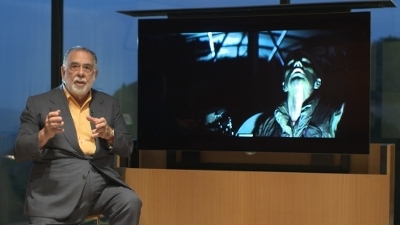 Coppola explained that when filming Apocalypse Now, he was "in the jungle for almost a year and a half. Even looking at the picture now brings back the terrifying moments we had in trying to get the superb picture and photography, all on film, with a host of difficulties. "Imagine going through all of that, and have audiences watch it on televisions that don't really have the advanced technology to showcase the picture the way I had intended it. LG OLED TV is a technology that no other television can match. It brings to the home, or wherever you are lucky enough to have an OLED screen, a picture so vivid, so sharp, with such definition, that it almost doesn't look like television." LG's 2016 OLED TVs, representing the third generation of this new display technology, are available in the United States starting this month. The entire 2016 LG OLED TV lineup assures the ultimate viewing experience with high dynamic range (HDR). In fact, LG's 2016 OLED TV lineup is among the first to deliver a complete HDR experience because it supports all industry-standard HDR formats established by the world's leading broadcasters, film studios and consumer electronics manufacturers, including HDR10 and DolbyVision™ HDR technology. It has also been certified as "Ultra HD Premium" by the UHD Alliance – a certification reserved for products that comply with the organization's performance standards for picture resolution, high dynamic range (HDR), peak luminance, black levels and wide color gamut, among other important metrics. LG OLED TV's unique ability to achieve perfect blacks to reveal even greater picture detail, combined with HDR, delivers to consumers images more like we see them in real life – allowing any details that were originally lost when translated onto the screen, brought back to life – making OLED TVs the ideal medium for HDR content. "LG OLED TV delivers what industry experts and consumers alike have hailed as the best TV picture quality ever right to consumers' living rooms," said David VanderWaal, vice president of marketing, LG Electronics USA. "The innovation of OLED TV, along with advancements such as 4K Ultra HD and HDR, is revolutionizing the home entertainment experience and enabling viewers to experience films the way that visionary filmmakers like Francis Ford Coppola meant for them to be seen." To further create an unparalleled at-home viewing experience in 2016, LG and Technicolor are collaborating on delivering new content experiences to the home that meet the new UHD Alliance content and display specifications and push the boundaries of video imaging. LG OLED TVs will offer dynamic content choices via its webOS Smart TV platform with streaming partners including Netflix, Amazon, VUDU and more. In 2016, LG is making OLED TV accessible to more consumers than ever before, with eight new models in flat and curved configurations and various sizes – led by its flagship 77- and 65-inch class G6 models and 65- and 55-inch class E6 models – all combining the superior performance of OLED's revolutionary display technology with 4K Ultra HD resolution and HDR capability. LG will continue to offer 2015 models at competitive price points, which include the EG9100 model, priced at under $2,000. For more information about LG home entertainment and to Experience OLED, please visit http://www.lg.com/us/experience-tvs/oled-tv. LG Electronics USA, Inc., based in Englewood Cliffs, N.J., is the North American subsidiary of LG Electronics, Inc., a$49 billion global force and technology leader in home appliances, consumer electronics and mobile communications. LG Electronics, a proud 2015 ENERGY STAR Partner of the Year, sells a range of stylish and innovative home appliances, home entertainment products, mobile phones, commercial displays, air conditioning systems and solar energy solutions in the United States, all under LG's "Life's Good" marketing theme. For more news and information on LG Electronics, please visit www.LG.com. LG Wins 41 Awards at CES 2015! !